The Church of Jesus Christ of Latter Day Saints (LDS/Mormon) are proposing to build an enormous community facility in North Flushing in an R2A zoning district on property that used to hold three single-family houses (and is now a garbage-strewn lot as the LDS doesn't take care of it). This is despite the fact that they currently own another property in an R7-1 zone where they can, as of right, build over 100,000 square feet of community facility space and don't have the need for any variances whatsoever. I want to make this absolutely clear: If they receive approval for their proposed variances, all R1 and R2 zones in the city - Queens, Brooklyn, Bronx and Staten Island - are at risk. The church is looking for numerous variances, including an almost doubling of their as-of-right FAR (.95 instead of .5). 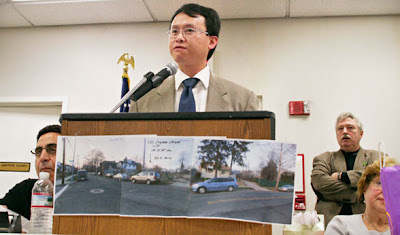 This was one of the major changes that was passed City-wide in the Community Facilities zoning reforms of 2004, along with mandatory on-site parking requirements - to make sure that religious facilities in R1 and R2 detached single-family low density zones would be more in scale with their surrounding neighborhoods. While part of North Flushing has been overwhelmed with community facilities over the last 20 years, none of them have ever received variances. If this variance is approved it opens the door for this to happen in every R1 and R2 community in the city. Both existing and new houses of worship will use this case as a precedent should they be successful. CB7 voted unanimously against the variance proposal, which are reported in the links below. If you can, please come to the hearing on Thursday, February 2nd, 2012 at 10:30am, Borough Hall and make your voice heard. If you cannot come, please write testimony in oppposition to this variance request to Borough President Helen Marshall. The final stop for all of this is at the Board of Standards and Appeals sometime in the spring, which is where the decision will be made. So now the entire Republican caucus in New York City government could stand in the same bathtub. Their leader, Jimmy Oddo of Staten Island, sounds like one of those admirable folks you read about who are fighting a very forthright, optimistic, brave battle against an incurable disease. 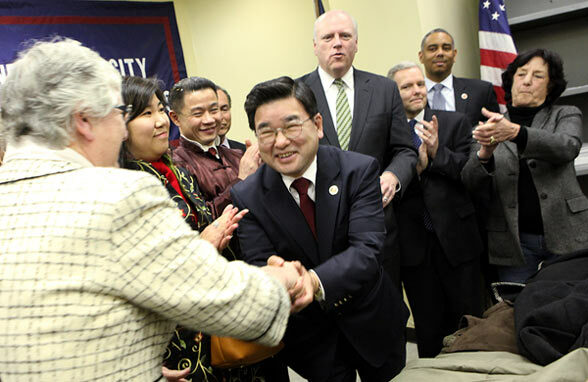 Koo, a self-financed owner of a string of pharmacies in Flushing, was elected to the seat on the Republican ticket with just under half of the vote in 2009, but his district is five to one Democratic. “It gets to be a lonely place sometimes,” Oddo says. The key to survival in a climate that is approximately as welcoming to GOPers as the tiger cage is to an asthmatic Chihuahua? Keep your head down. Don’t make any sudden noises. 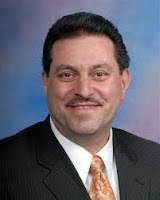 “We gotta deliver for our district,” Oddo reasons. “If that means ignoring some rhetoric, if that means holding back or pulling your punches, we’re in the trenches. So don’t look for the fights. There are times when dispute and debate is good and we have to stand up for matters of conviction”— and then there is most of the time. 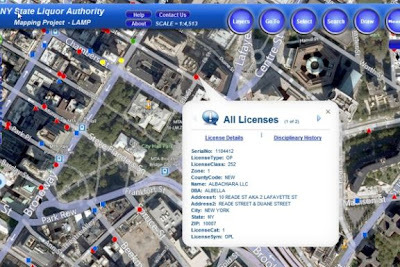 Amid complaints from New Yorkers about bars not keeping crowds under control, New York's State Liquor Authority is creating an online map that will let the public see an establishment's history of violations and liquor licenses. The website -- set to launch next month -- will let New Yorkers search for an establishment by name or location, and scroll through its license and violation history, similar to the city's online restaurant inspection database. Though license information has been available online, the authority currently requires people to submit Freedom of Information requests to find out about violations cited for places that sell booze. 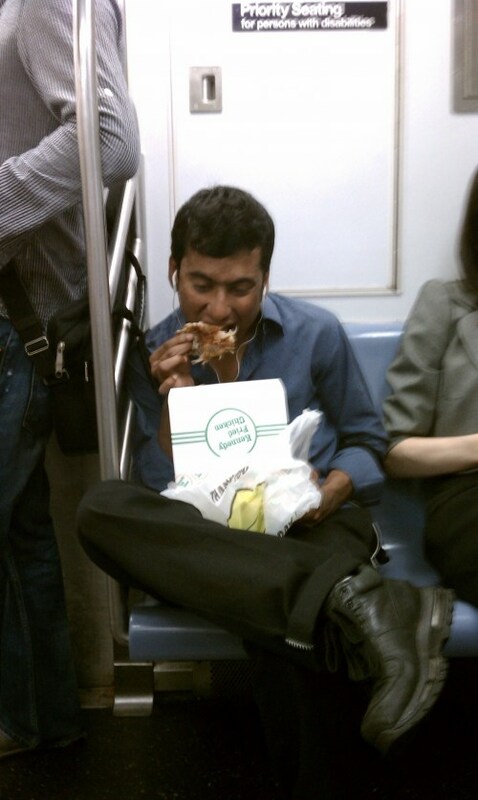 A local lawmaker is pushing a bill to ban eating in the subway to help cut down on vermin — but the measure is already causing some straphangers to lose their lunch. The bill, proposed by Sen. Bill Perkins (D-Manhattan), would slap a $250 fine on subterranean scofflaws who dare to eat on any train, platform, or shop throughout the city’s transit system. 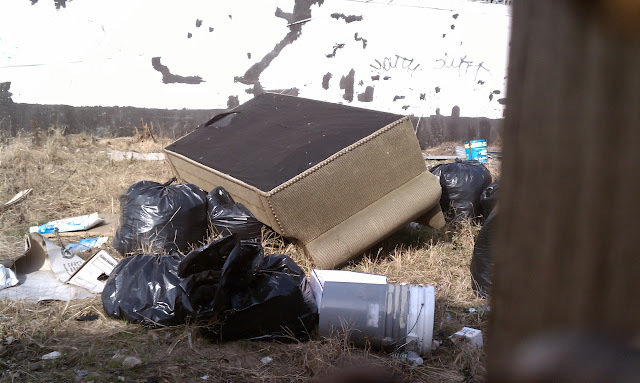 Cash from fines would feed a litter-prevention fund. 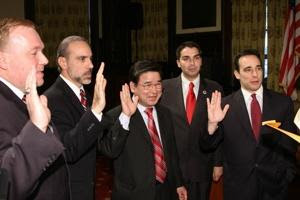 Councilman Peter Koo, who recently switched parties to the Democratic Party, said the media’s treatment of New York City Comptroller John Liu has been biased and wrong in a recent interview with Roberto Perez. Last year, an FBI sting against one of Mr. Liu’s campaign bundlers caused Mr. Liu’s mayoral ambitions to take a significant hit. A man died as a result of an early-morning house fire in the Bronx Sunday, authorities said. Firefighters and police were called to 1120 E. 225th St. at about 5:20 a.m. Sunday, where a fire had apparently started in the basement of the three-family apartment building. Battalion Fire Chief George Campbell said crews were able to knock the fire out quickly, but faced thick smoke in the basement. "The fire was under the garage, the concrete floor," he said. "That holds everything in -- the heat, the smoke. So we had to cut a hole out." A man in his 60s was removed from the basement apartment and taken to Montefiore North Hospital, where he was later pronounced dead, said police. A woman was also removed from the apartment and taken to Jacobi Hospital, where she was listed in stable condition, police said. 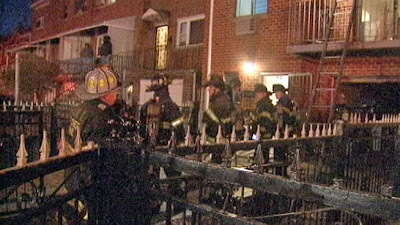 Investigation is ongoing, but police said the fire did not appear to be criminal in nature. Hey, take a look here. The illegal conversion at this address was discovered in 2004. It's been on file for years that the condition was never corrected. Another complaint about the illegally converted basement was put in this past October, but DOB never got around to inspecting the place. So should we be surprised about this? Will there be any discipline handed down? The NY Post has most of the story. Well here I am in Corona one last time. This is 47-05 104th Street in the very heart of Corona Heights. There previously were two stores/offices with dwelling units above and a factory at the corner. But they are no more. 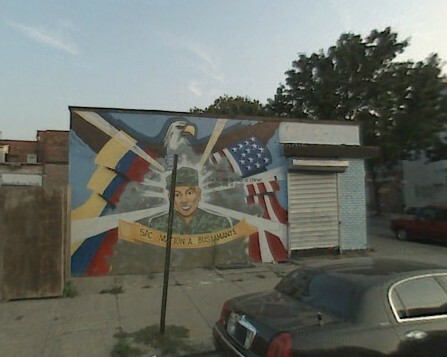 Also no more is this mural which actually lent a little bit of character and pride to the neighborhood. You may have died in service to your country, Spc. Bustamante, but your tribute has to go. There's crap to build. The architect, Chris Papa, is the very same crapmeister that designed the palazzo stucazzo for Joe Franco at the White House. "POST APPROVAL AMENDMENT TO ADD TWO STORIES, 22 DWELLING UNITS, OVER EXISTING 1 STORY COMMERCIAL BUILDING. CHANGES TO SCH A & SCH B HIGHLIGHTED. REVISE ADDITIONAL F.A FROM 1080 TO 14,778 SF." Does this look like an altered building or a new building to you, dear readers? The buildings are completely new, with 22 dwelling units replacing 2. Can you say "overcrowding" and "infrastructure overload?" I passed by this location before Christmas and there was a makeshift scaffolding actually dangling over the yard next door. Unfortunately, it was at night and by the time I got back there to take photos it was gone. But it was a site to behold. What a mess - not to mention, the entire thing has a F designation for Factory. But don't despair, there's 7 off-street parking spaces here somewhere. Violations are being issued after debris fell onto an elevator in a Queens apartment building Friday night, but investigators are still trying to determine what caused the incident. It's unclear how far the debris fell, but fire officials at the scene said it caused the elevator to collapse. 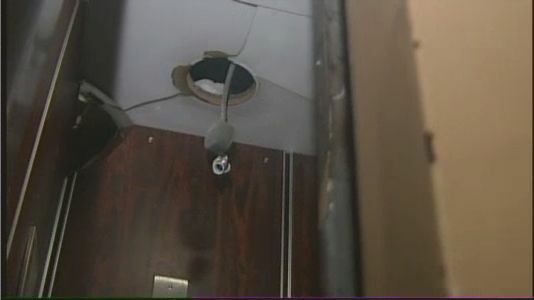 Damage could clearly be seen on the elevator's roof, and chunks of debris were scattered on the floor. No one was in the elevator when the incident occurred at the Cadillac Building on 83rd Avenue in Kew Gardens, but residents were shaken. The debris came crashing down nearly a week after one tenant, Shaun Broughton, got stuck inside the elevator for 45 minutes. Why should BSA reward this nasty developer? A Corona man’s family members are fighting the construction of a building next door, at 34-57 107 St., which they say blocks his apartment. Jose Tavarez and his wife, Dinah, made an impassioned plea against the building at Community Board 3’s meeting last week, urging members to vote against owner Eran Yousfan’s Board of Standards and Appeals application, which would allow him to continue construction at the site. “It’s a cell in there,” Dinah Tavarez said of the apartment her father-in-law, Thomas Tavarez, lives in next door to the construction, at 34-61 107 St. The new house is being built so close to the existing one that there is “literally no space” between the two structures, according to his son. Thomas Tavarez, who turns 70 this year, has lived in the house for over 30 years, Jose Tavarez said. “The pictures, they speak for themselves,” Dinah Tavarez said through tears at the meeting, passing around photos of her father-in-law’s apartment, which show how his windows have been completely walled in by the new building. 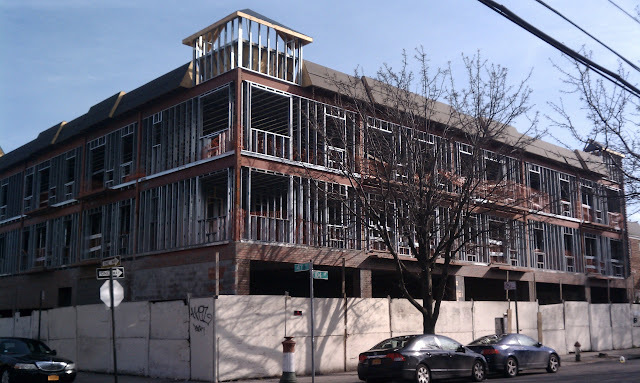 But according to Hamlett Wallace, chairman of CB 3’s Land Use Committee and an area architect, the building is technically legal — Yousfan purchased the site in 2006, when the lot was under R6B zoning, a designation that allows for the construction. 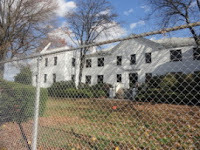 In 2009, the area was downzoned to R5, but Yousfan’s lawyer, Eric Palatnik, explained the project’s foundation had already been laid, allowing it to be grandfathered under the old zoning designation. 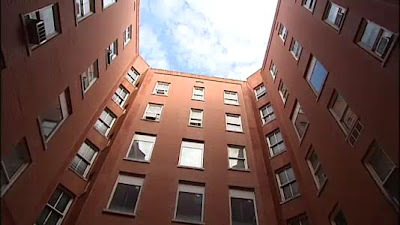 Jose Tavarez countered that the building received a two-year permit to continue work in 2009, which expired in 2011. 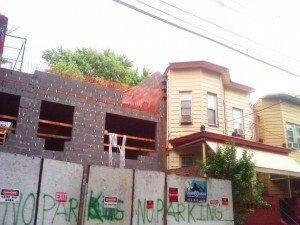 The Department of Buildings issued Yousfan a stop-work order on June 24, 2011. Wallace said that Yousfan’s building has the right to appeal the stop order and move forward. Mayor Bloomberg’s visit to an unfinished Long Island City high-rise last week capped a series of upbeat announcements about how safe the city has become. With crime and fire and motor-vehicle fatalities headed the right way, it was the Buildings Department’s turn to reveal its winning data. “The great news keeps coming, this time in the arena of construction safety,” the mayor proclaimed alongside beaming elected officials and real-estate executives. He added that construction injuries had plummeted 37 percent, from 241 in 2009 to 165 in 2010 to 152 last year. There’s just one problem: The mayor’s numbers from last Monday don’t match those on the city’s Web site. Buildings officials now say that the higher figures, which can still be found under Citywide Performance Reporting (CPR) at nyc.gov, were a mistake and that Bloomberg’s lower ones were correct. Whatever the explanation, the snafu is, at the least, deeply embarrassing. Bloomberg has touted his administration as one built on data backed up by transparency. So why didn’t anyone spot numbers that were wrong four years running? Because when the stats are fake, it's hard to tell. 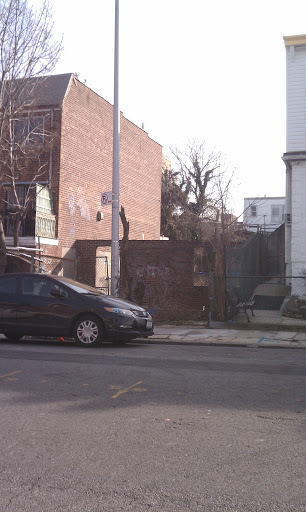 Empty lots are often trash magnets and this one at the corner of Corona Avenue and 54th Avenue is no exception. It wouldn't be so bad if the construction fence shielded passersby from the blight, but the fence itself is an eyesore as well. Say goodbye to those noxious odors that had been coming from Shellbank Basin and wafting through the Howard Beach community during the summer months. Within the next few weeks, the city Department of Environmental Protection is expected to wrap up construction of a $3.5 million destratification facility on the edge of the basin to eliminate the odors and oxygenate the area’s waters, keeping the crab and fish populations healthy. For years, residents have complained about the stench wafting from the basin. The odors occur when a sudden drop in temperature allows the basin’s deep water to rise to the surface. Without natural mixing, the water separates into layers, with the sun-heated water at the top and the coolest at the bottom — the phenomenon known as stratification. The DEP has for the past 10 years been testing a technique called destratification to reverse this process. Destratification has been used effectively in lakes and reservoirs to vertically mix the water and prevent undesirable conditions from occurring. The DEP has acquired part of Starbuck’s parking lot at 157-41 Crossbay Blvd., on the west shoreline of Shellbank Basin, upon which it has built the permanent destratification facility. 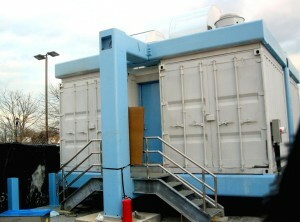 The temporary facility was located at Captain Mike’s Marina parking lot, at 158-35 Crossbay Blvd. The permanent Shellbank Basin Destratification Facility consists of two electric-powered air compressors, one in operation and one on standby, in a sound-insulated 380-square-foot, 15-foot high building. There are two 1-inch diffuser lines that together extend approximately 2,000 feet longitudinally on the basin floor. The city has still not designated a locale for a new northeast Queens high school due to a lack of available spots and transportation concerns, Community District Education Council 26’s chairwoman said. The School Construction Authority has considered several sites, mostly in Bayside and Auburndale, for the school. But the city has nixed the idea of building at the former Leviton manufacturing facility’s property. Jeannette Segal, CDEC 26’s chairwoman, told board members that the site for the new school had been discussed during a recent meeting at the Queens Borough President’s office. 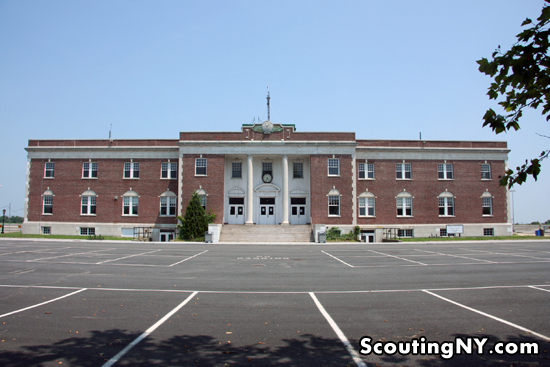 There are no high school kids in eastern Queens that would utilize this school? Is there not a problem getting kids to schools where there is no subway, like Maspeth, Bayside and Forest Hills? Cleaning up Albany? Or just cleaning up? Gov. Andrew M. Cuomo defended his decision to participate in a closed-door discussion of infrastructure policy on Friday before an audience of deep-pocketed donors, some of whom paid $50,000 or more to attend, at the same time that his administration is preparing to accelerate billions of dollars of public works projects across New York State. Neither Mr. Cuomo’s office nor the Democratic Governors Association would allow reporters to attend the panel, which was held in a meeting room at a hotel in Midtown Manhattan. Nor would the association immediately disclose who donated money to gain admittance to the event, which was part of a two-day conference it sponsored. Over all, the gathering raised about $1 million to help support the election campaigns of Mr. Cuomo’s fellow Democratic governors. The session constituted a relatively standard fund-raiser for the association and groups like it, which can accept unlimited donations. “I and other governors or elected officials are in rooms with people who do business with government all day long,” Mr. Cuomo said after the discussion. Mr. Cuomo spoke to reporters who had been restricted to the far end of a hallway where they could not see people entering and leaving. A representative of the association stood sentry. The City University of New York is planning to build a hotel in Long Island City, Queens, to enhance its schools' hospitality programs. 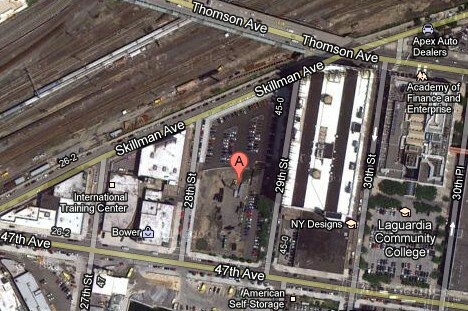 CUNY is looking for a hospitality consultant to evaluate a 91,000-square-foot lot it owns at 28-02 Skillman Ave. which is part of its LaGuardia Community College campus, for potential hotel use. The selected consultant will help CUNY analyze the feasibility of a hotel project in light of the current commercial real estate market, review zoning of the site and explore financing options for such a project. The consultant would also ultimately assist CUNY with preparing a request for proposal seeking a developer/hotel operator to partner with and build the project. The parcel of land, bounded by Skillman Avenue to the north, 29th Street to the east, 47th Avenue to the south and 28th Street to the west, is zoned for up to a 600,000-square-foot development. That means there would be no need for the school to go through the lengthy city approval process to obtain a zoning change on the site, according to Ms. Weinshall, who added that CUNY does not plan to build a hotel that large. "So - as predicted, we got flooded today on 32nd Avenue because of the poor paving job. This was just a light rain...imagine what's going to happen when we get some serious downpours." Drunk and noisy squatters residing in a house on Park Lane South in Richmond Hill have got to go, residents told police at the 102nd Precinct Community Council meeting last week. Residents living near the problem house flocked to the meeting at Moose Hall in Richmond Hill to ask the police for help. Resident Dan Seaman said squatters have illegally staked a claim on the house after it was foreclosed by HSBC Bank in 2009. Seaman said he found out about the squatters last month, when he saw two police cars in front of the home. He said police officers told him that a fight broke out when the squatters on the first floor tried to evict the squatters on the top floor. Seaman said the squatters frequently yell, scream and have loud arguments in the middle of the night, disturbing the neighbors’ sleep. The resident alleged that some of the occupants are intoxicated and use drugs. He contacted the city Buildings Department and called 311 about the squatters. Receiving no response from the agencies, Seaman brought several of his neighbors with him to express their frustrations at the council meeting. “It’s a very serious issue,” Seaman said. Other neighbors said there were days when they could smell the odor of marijuana coming from the house. Capt. Martin Briffa, the precinct’s executive officer, told Seaman that he would refer his drug complaint to the precinct’s narcotics unit for investigation. However, he said that he could take no police action on the trespass complaint since he would need the property owner to press charges against the squatters for the violation. Neither the owner of the property nor any representative has come forward, Briffa said. 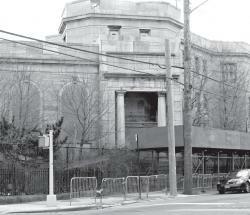 The battle is raging over the landmark status of two buildings on the Upper East Side. The buildings, both located on York Avenue between 64th and 65th streets, are part of the First Avenue Estates complex. The owner, Stahl York Avenue, is trying to have that designation removed so they can be demolished. The owner has filed a "hardship application" with the city's Landmarks Preservation Commission, hoping to prove the buildings don't turn enough of a profit to merit landmark status. Longtime residents are urging the commission to deny the owner's application. Innocent mistake or intentional screwjob? 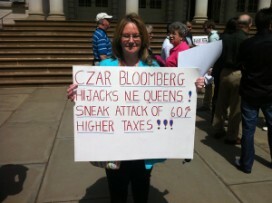 When tax assessments of some Queens co-ops jumped as much as 147 percent last year, there was at first sticker shock. The tax increases were so staggering that many hoped the figures were simple mistakes which could be corrected. A reason for the crushing overvaluations was finally given in April: a computer glitch. The Dept. of Finance offered to cap valuation increases at 50 percent, to be fazed into individual tax rates over five years. But many found that reason to be outlandish. After reportedly dropping the excuse in media reports, and in an open hearing before the City Council, the DOF disavowed the explanation last week. “Nothing failed,” said DOF Spokesman Owen Stone. 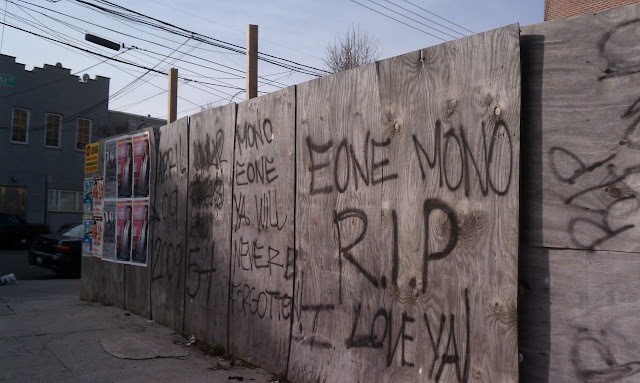 "Tomorrow we can meet again, here again," said Manny Collado, the landlord. And here was the landlord on Monday before the city carried out it's vacate order. He was trying to get one of the tenants to work with him in a scheme to keep the city from shutting down his money-making fire trap. What he didn't know is the tenant is working with Eyewitness News and wearing an undercover camera. "If these people come by on Wednesday you show them, 'Listen I got a lease here bro, I don't know what you're talking about. 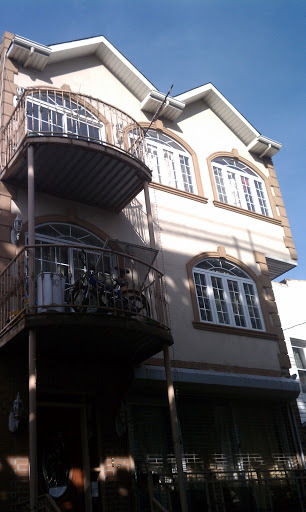 This is my apartment I got a two year lease here,'" Collado said. The landlord then instructs the tenant to lie to city officials by telling them the building is rented by one family and not illegally rented out as single rooms. "Everybody there is family member. Everybody in that apartment is going to be family. They're my cousins, they live with me," Collado said. This is 108-52 54th Avenue. What to say about this site? 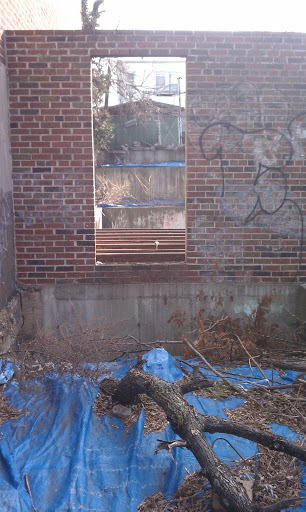 The project, whatever it was, has been abandoned for years. How many? Not sure. There were never any permits. I checked aerial shots going back to 1996 and the site looked this way back then as well. You'd think the DOB would do something more than just issue "failure to maintain" summonses to an owner that probably doesn't even exist anymore. 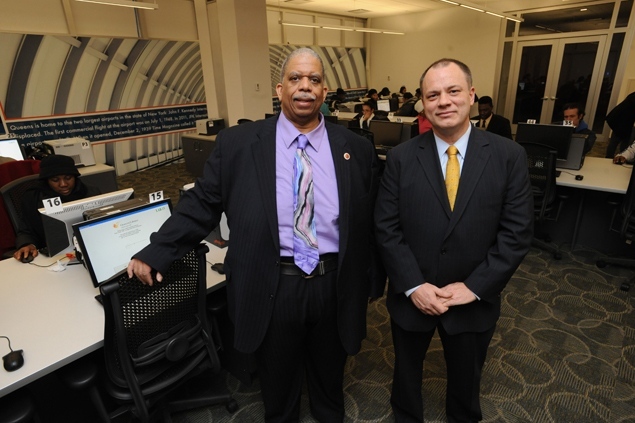 Former Queens Sen. Frank Padavan is mulling a comeback in the northeast Queens district he narrowly lost to Sen. Tony Avella two years ago, sources said, but Queens Republicans are concerned the newly-redrawn district will not be favorable to a bid. Padavan’s name has risen as Republican City Councilman Dan Halloran has downplayed the idea of challenging Avella. 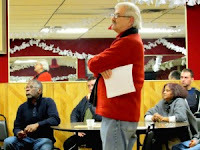 Sources said Republicans are unlikely to do much through redistricting to make the district more conservative, and are largely focused on convincing another Republican councilman, Eric Ulrich, to run against Democratic Sen. Joe Addabbo in eastern Queens. One race I’ve been following closely is the Democratic primary shaping up to take on colorful northeast Queens Councilman Dan Halloran. He may run for state Senate in 2012 against State Sen. Tony Avella if the redrawn district breaks the right way, though he’s recently thrown cold water on the idea. 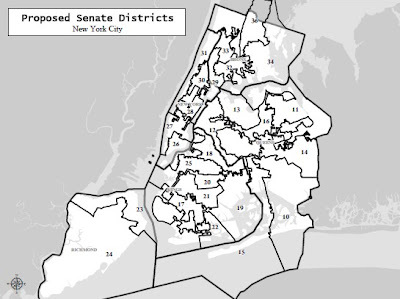 But assuming that Halloran isn’t a member of the state Senate by 2013, the Democratic primary to take him on could again get pretty messy, in what is a relatively conservative district by New York City standards. In 2009, the Queens Democratic machine backed community board chair Jerry Iannece, and tried to force Paul Vallone, the brother of Councilman Peter Vallone, Jr., to drop out of the race, fearing Iannece and Vallone would split the Italian-American vote – and pave the way for a weaker general election candidate to emerge. Vallone refused to drop out, and that’s exactly what happened: Kevin Kim, a bright, young Korean-American lawyer, won the primary behind a huge turnout by Korean-American community in Flushing, but narrowly lost an extremely ethnically and religiously divisive general election contest to Halloran. Fast forward to 2013. Kim has moved out of the district. Vallone wants to run again. Iannece is very interested. Matt Silverstein, a young state committeeman who is the former president of the New York State and Queens Young Democrats is already raising money. All of this threatens to again split the vote — and make anointing the strongest general election candidate a difficult task for the Queens Democrats. "Based on the staff's review, the Commissioners' responses and my own review, considering the merits, staffing and priorities, I as the Chair, make the ultimate decision whether to bring a matter forward for formal consideration. In this case, and based on the review I described, I determined that it was unnecessary to further consider the proposal." Allow me to translate. Bob basically just said that Mary Beth Betts nixed it off the bat, her biased analysis swayed the commissioners, and he only has staff available to push for "priorities" (i.e. anything in Manhattan and rowhouses in the outer boroughs). As for Broadway-Flushing having been too altered to retain a "sense of place," there are SO many districts that have been adopted that have much less integrity than Broadway-Flushing, even after the last decade where they've had about 40 buildings demolished or altered (out of 1300). Well, at least the great Democrat, Peter Koo, is happy. Here are the proposed 2012 redistricting maps for the state offices. Notice how the lines were drawn so that Toby and Tony would have to compete against each other in a primary as well as Peralta and Gianaris. 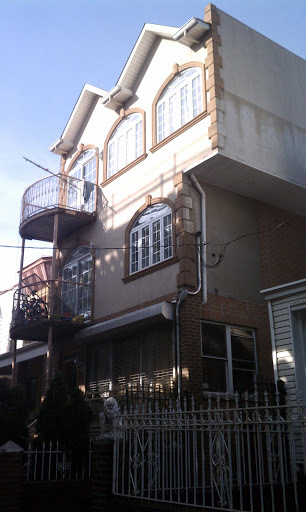 So I was walking down Roosevelt Avenue, going about my business, when this "house" caught my eye. If you're saying to yourself, "That thing CAN'T be legal, rest assured, it's not! 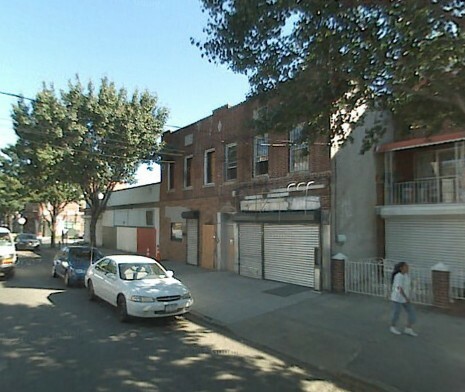 The owner of 108-41 Roosevelt Avenue applied for an alteration permit back in 2002. It was reissued in 2006. The permit was revoked in 2007 and a stop work order remains in effect. So now you're saying, "But that house looks lived in." Why yes, it is - with no C of O because the SWO was never rescinded and the revoked permits were never reissued. Basically, what we have here is an illegally built house with illegally rented units. And when complaints about an illegal nightclub being run out of the basement were called in to DOB, they passed it off on the NYPD. 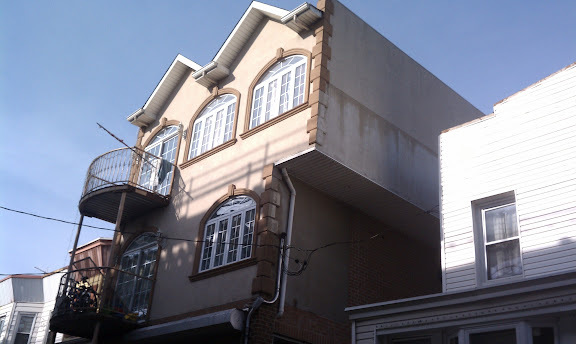 "THIS HOME HAS GUTTED OUT THE BASEMENT AND IS RENTED OUT FOR PARTIES. THIS IS USED AS AN ILLEGAL CLUB AND ABOUT 100 PEOPLE INCLUDING CHILDREN UNDER 12 ARE IN ATTENDANCE. THEY ALSO BRING ALCOHOL & MUSIC." A similar complaint from earlier this month apparently means shady activity is still going on here. Hey DOB: Call FDNY and have the place vacated and sealed already. This draft wetlands strategy is written in accordance with Local Law 31 of 2009 (see Appendix C). Signed by Mayor Bloomberg on May 26, 2009, this law requires the City to create a strategy with the overall goals to conserve, protect, enhance, stabilize, restore, and expand wetlands and associated buffer areas in the city. The law also calls for a strategy to avoid and minimize wetlands losses and achieve no net loss of wetlands in the city; standardize and improve the management of wetlands and associated buffer areas; and balance the needs for wetlands protection with other, competing land uses that are in the public interest. In particular, Local Law 31 and this draft wetlands strategy focus on the question of how to better protect small vulnerable wetlands parcels. 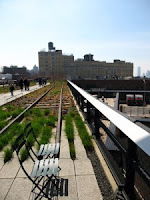 New York City Wetlands: Regulatory Gaps and Other Threats found that existing Federal and State regulations protect New York City’s tidal wetlands and its large freshwater wetlands from threats related to land use and development. However, freshwater wetlands smaller than 12.4 acres are not protected by State law and are vulnerable to determinations that they are outside of the scope of Federal protection. This draft strategy advances the City’s understanding of the quantity and ownership of these vulnerable wetlands and proposes strategies that will enhance protection. This draft wetlands strategy has been released to the public on January 18, 2012. The City will accept public comments on this draft strategy through February 18, 2012 at planyc@cityhall.nyc.gov. The New York City Economic Development Corporation issued a request for expressions of interest for the long-vacant Rockaway Courthouse in Queens, in the Hammels section of the Rockaways, according to a statement from the agency today. The site is currently zoned R4-1, which allows for small residential and community uses. Any zoning changes, and the associated costs, would be the responsibility of the user, the statement said. The building is located at 90-01 Beach Channel Drive. A nightmare scenario has come to an end for one Oakland Gardens family, as police say their 16-year-old daughter has turned up unharmed. 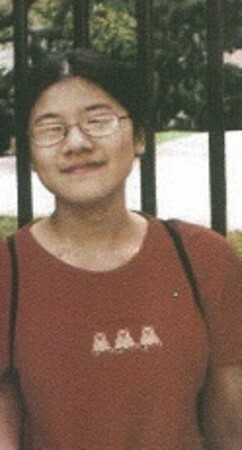 The NYPD issued an alert on Jan. 10, calling out for information about the wherabouts of the girl, Angela Zheng. Zheng had left her home on 59th Avenue at 6:40 a.m. on Jan. 6, but did not go to school. Instead she headed to Astoria, where she stayed with a friend, according to a police source, who did not provide further information. Queens is the perfect place for not one but two convention centers, Borough President Helen Marshall said Tuesday. 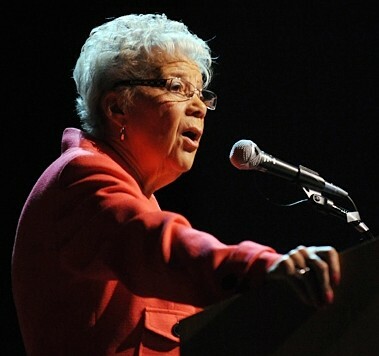 At her annual State of the Borough speech, Marshall backed Gov. Cuomo’s proposal to build the nation’s largest convention center near the Aqueduct racino. But she said the city should also continue an earlier plan to create a convention center as part of the Willets Point redevelopment. Actually, the governor said the Aqueduct convention center would replace the Javits Center so the state could sell the Manhattan site to developers. The extension of the No. 7 train to the Far West Side of Manhattan could be months behind schedule, the MTA official overseeing the project said Monday. Problems have slowed down the project to extend the line to 34th Street and 11th Avenue from its current endpoint of Times Square, MTA capital construction president Michael Horodniceanu said during the agency’s transit committee meeting yesterday. The unspecified problems, Horodniceanu said, “pushed us a bit behind… We are working to try to resolve them.” He said he wouldn’t know the extent of the delays until next month. 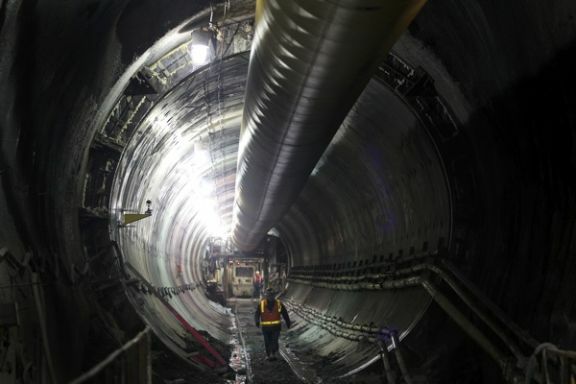 The city is paying for the $2.1 billion subway extension, as part of Mayor Michael Bloomberg’s effort to improve business on the West Side. A spokesman for the mayor did not comment Monday night on the delay. State Sen. Joseph Addabbo Jr. said Monday he's promoting a push to raise the gambling age to 21 from 18 as part of any legislative effort to legalize full casino gaming in the state. Resorts World New York, a racino at the Aqueduct Racetrack in Addabbo's district, could one day become a Las Vegas-style casino with Albany's consent. Addabbo said he wants to raise awareness "to avoid youthful gambling addictions." Before LaGuardia and JFK, Floyd Bennett Field was New York City’s first airport, at a time when nearly all air traffic was based out of Newark. A soaring skyscraper planned for the World Trade Center site may shrink to a measley seven stories. 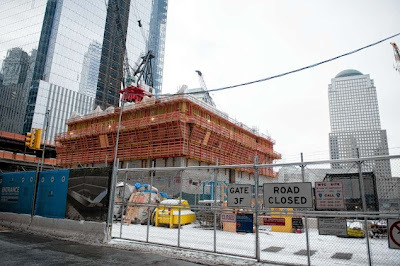 Developer Larry Silverstein’s 3 World Trade Center office tower was supposed to rise to 80 stories — but he’s planning to turn the tower into a teeny low-rise if he can’t find a big-time tenant, Crain’s New York reported. The building is under construction and was supposed to be done by 2015, but Silverstein has had no luck landing a major company to fill the office space — and tweaks have already been made to allow the tower to be capped by the end of the year at less than a tenth of its intended size. The stunted tower would be filled up with retail stores, according to Crain’s. New Yorkers around the site Sunday said it would be an embarrassment if the site couldn’t support a building of suitable stature. 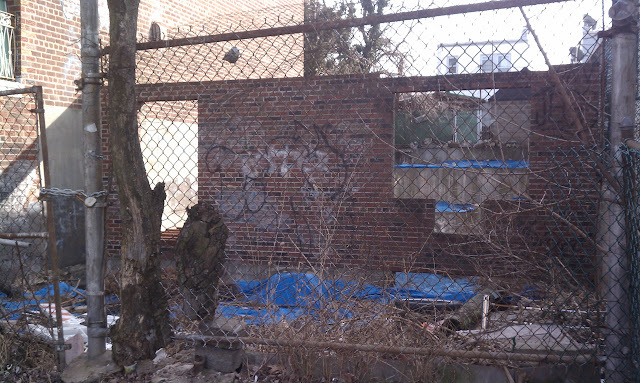 The city could be building a bridge to nowhere, thanks to a muddled South Bronx land deal. The Randalls Island Connector, a planned pedestrian and bicycle bridge, will eventually span the Bronx Kill, a narrow waterway separating the South Bronx from public ball fields and green space on Randalls Island. But land between the bridge and the South Bronx street grid is controlled by a private company, Harlem River Yards Ventures. 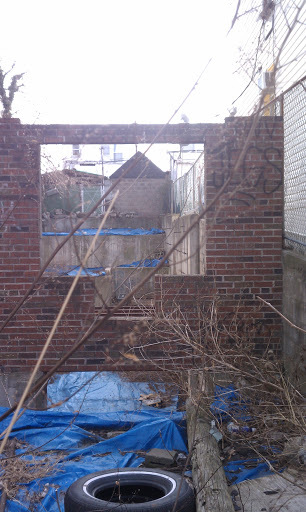 The New York City Economic Development Corp. needs an easement so it can build a path from the bridge to E. 132nd St. The EDC and HRYV have worked together on the project for years and now that the city is ready to start bridge construction, it has made the company an easement offer. But no deal has been struck and now the project is in doubt, sources said. 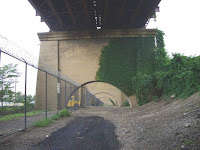 The Connector will link the South Bronx to a greenway network that stretches from Randalls Island to Astoria, Queens and East Harlem. A man apparently making low-grade pipe bombs with powder from fireworks blew himself up inside his Queens home Monday morning, sources said. Theodore Ellinghaus, 50, ignited the blast on 111th Avenue in Ozone Park just before 9:30 a.m. and the explosion blew him apart, a source said. He was dead by the time paramedics arrived. Investigators are looking into whether he was building bombs as part of a dispute with a former employer, a construction company. A police source described Ellinghaus as an "emotionally disturbed person." A Queens man was killed after a powerful firecracker exploded in his home this morning, and law-enforcement sources said cops are looking into whether he may have committed suicide with it. The 50-year-old man was clutching the M80 near his waist in the hallway of his Ozone Park home when it went off at 9:28 a.m., police said. The explosion ripped off two fingers from his hand and tore a hole through his stomach, leaving his organs exposed, sources said. Horrified relatives, who were at the 111th Avenue house at the time of the incident, made the grisly discovery. Police are investigating whether the victim, who recently told neighbors he was suffering from depression, had decided to kill himself with the firecracker. Crime has gone up in the Queens precinct that covers the glittering new racino at Aqueduct, The Post has learned. It’s unclear to what, if any, extent the gambling operation can be tied to the spurt of petit larcenies and misdemeanor assaults in the 106th Precinct, which covers South Ozone Park. In November, the first month since the casino opened, petit larcenies in the precinct rose 53.3 percent to 92, from 60 in the same month in 2010. There were 41 misdemeanor assaults, compared with 26 in November 2010, a 57.7 percent increase. In December, petit larcenies went up 8.2 percent compared with December 2010, and misdemeanor assaults were up 31 percent. During the months immediately before the casino opened, the two quality-of-life crimes had been trending downward. It’s not clear how many crimes occurred on casino property — but there were at least three: a car was stolen from a parking lot; a dropped wallet was snatched in the racino by a patron; and one gambler tried to use a counterfeit bill in a slot machine. The MTA is facing some backlash for rejecting a plan that might have eased weekend disruptions on the 7 line. Plenty of commuters have voiced their complaints regarding the fact that the 7 Train will be screeching to a halt every week through April. “Most of my friends live in Manhattan, so it’s making me spend more in cab fare to get in and out of the city. The next 11 weekends I have plans almost every weekend in Manhattan, so it’s going to cost me a lot more money, or a lot more time to get in,” Catherine Hart, of Long Island City, told CBS 2′s Jessica Schneider. 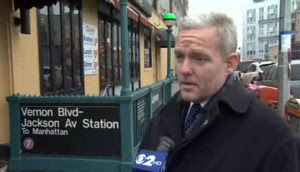 Queens City Councilman Jimmy Van Bramer decided to take action and said he got approval to use $250,000 in city funds to pay for a shuttle bus from Vernon Boulevard Station to Grand Central. “I said let’s talk about alternatives. Let’s think out of the box. The community has been asking for a shuttle bus service,” he told Schneider. However, the MTA said no thanks and came up with its own plan. Some people, however, do agree with the MTA. They wonder if it’s worth it to spend $250,000 in tax payer dollars for a non-essential shuttle bus to Grand Central. When it opened more than 45 years ago, the Queens Central Library in Jamaica was touted as a state-of-the art facility, offering the latest in customer convenience and library research. But the traditional stacks of books and rows of tables and chairs are now being replaced with plush seating and computers as the library embarks on its largest and most ambitious renovation to date. “Libraries are no longer just places to sit and do research, they are places to go,” said Queens Library CEO Thomas Galante. Galante and City Councilman Leroy Comrie celebrated the latest phase of the library’s transformation on Thursday when they officially opened its expanded and revamped Cyber Center. The center has 72 computer workstations, printers and a scanner. A long line of customers waiting to use the computers grew during the short ceremony - an example of the vital role they now serve in libraries. Use of the computers is free for anyone with a Queens Library Card. What exactly does GJDC do anyway? It rakes in millions in taxpayer money, pays its executives handsomely, and likes to tout its grand visions. But critics and business owners say that in the 45 years the Greater Jamaica Development Corp. has existed, it’s done little to further its single mission: Make Jamaica, Queens, a better place to work and live. The nonprofit’s latest plan is a $25 million project to widen a road and create a public plaza. To do it, GJDC asked the city’s help to evict more than a dozen small businesses and several apartment dwellers — the exact groups the organization is supposed to help. Carol Radin is fuming over the impending loss of her property at Sutphin Boulevard and Archer Avenue, which includes three apartments, retail shops and office space. She has operated businesses at the corner since 1960. Greater Jamaica, formed in 1967 to revitalize the struggling Queens business district, has reaped a windfall of public money from its allies, including embattled Rep. Gregory Meeks, but its track record is disputed. A Whitestone business owner has surveillance footage of two graffiti vandals damaging his property, but instead of calling police he is hoping the young men turn themselves in — or someone does it for them. Anthony Cammarata, whose family runs a Venezia Tile store, has footage of two young men spray painting his truck, the outer wall of his business and the security gate of a neighboring business at around 4:40 a.m. New Year’s Day. He is offering $100 to anyone who can bring in the vandals responsible and make them clean off the paint. “These guys forgot to look up,” he said, referring to the multiple security cameras he installed on the top of his building. The family tile business has operated in Whitestone since 1990. And since Cammarata grew up and now works in the neighborhood, he has made a lot of friends and knows a lot of the neighborhood kids. It's been a week since a giant illegal billboard collapsed on the BQE. Since then, an Eyewitness News investigation has discovered illegal billboards are everywhere and the companies that own them owe the city millions in unpaid fines. When the illegal billboard came crashing down in strong winds on the BQE, Brooklyn City Council woman Letitia James got caught in the ensuing gridlock. It gave her time to think about the years she spent trying to rid the city of these illegal signs. "Some of these are major businesses and they've been put on notice time and time again," James said. Mogul Media owned the collapsed billboard. Eyewitness News checked Department of Building records and found Mogul has at least three other illegal signs for which it still owes the city $40,000. But that's nothing compared to other billboard companies. When it comes to campaign war chests, City Councilman Peter Vallone Jr. is the king of Queens. Vallone has more than $850,000 on hand, more than any other member of the Council’s Queens delegation, according to recent filings with the city Campaign Finance Board. “I’m humbled to have so much support that I’m already fully funded for a Queens-wide primary,” Vallone said on Wednesday. Vallone, whose father was the first City Council Speaker, said he has been “seriously considering” running for Queens Borough President in 2013. 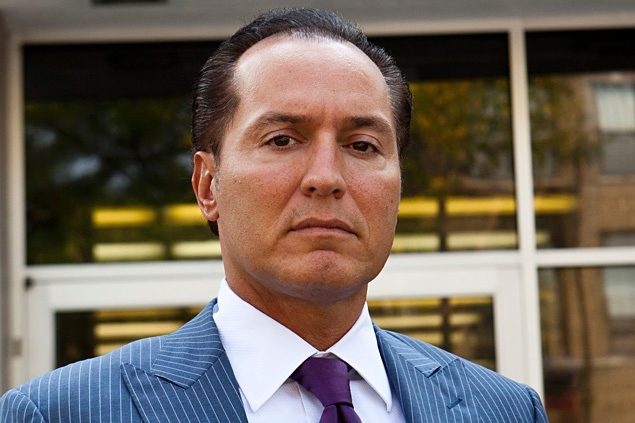 So Vallone wants to be Borough President. Or does he? In 2008, the officials who took those goodies from Kiska received something else in addition to full stomachs and a hotel room: thousands of dollars in fines from the city’s Conflicts of Interest Board (COIB). City employees are barred from receiving gifts in excess of $50. Yet the arm of the city’s ethics law does not reach to private citizens, developers, contractors and companies, like Kiska, which repeatedly induce city officials to commit ethics violations. Kiska continues to be eligible to serve as a contractor on city projects, including the future third phase of the High Line, to be built north of 30th Street. Planning for that final section of the elevated park is now underway. Police Commissioner Raymond Kelly laid down the law to the NYPD: Make it easier for New Yorkers to report crimes and make each one of them count. In a memo issued last week and obtained by the Daily News, Kelly provided a veritable ‘Policing 101’ refresher. The operational order spells out in painstaking detail the steps cops are supposed to take when someone wants to report a crime. It also warns cops to eliminate excuses for not taking complaints from victims. - The victim can’t identify the suspect. - Someone can’t provide a receipt for stolen items. - The victim refuses to view photographs. - The complainant won’t speak with detectives. - The victim doesn’t want to prosecute an offender. The memo urges police officers not to refer crime victims to another precinct if the crimes didn’t happen in their command. And Kelly reminds cops not to tell people to return to crime scenes and call 911 after they’ve come to a police station to report a crime. The operations order issued on Tuesday comes, as the NYPD and others are investigating claims that police officers — under pressure to make the city appear safer — are fudging stats or making it difficult for people to report crimes. Koo flying the GOP coop! LIE is the "Heroin Highway"